You are here: Home / About Title Ins. When purchasing a home or other real estate, you actually don`t receive the land itself. What you acquire is title to the property–which may be limited by rights and claims asserted by others. Problems with title can limit your use and enjoyment or real estate, as well as bring financial loss. Title trouble also can threaten the security interest your mortgage lender holds in the property. Protection against hazards of title is available through a unique coverage known as title insurance. Unlike other kinds of insurance that focus on possible future events and charge an annual premium, title insurance is purchased for a one-time payment and is a safeguard against loss arising from hazards and defects already existing in the title. 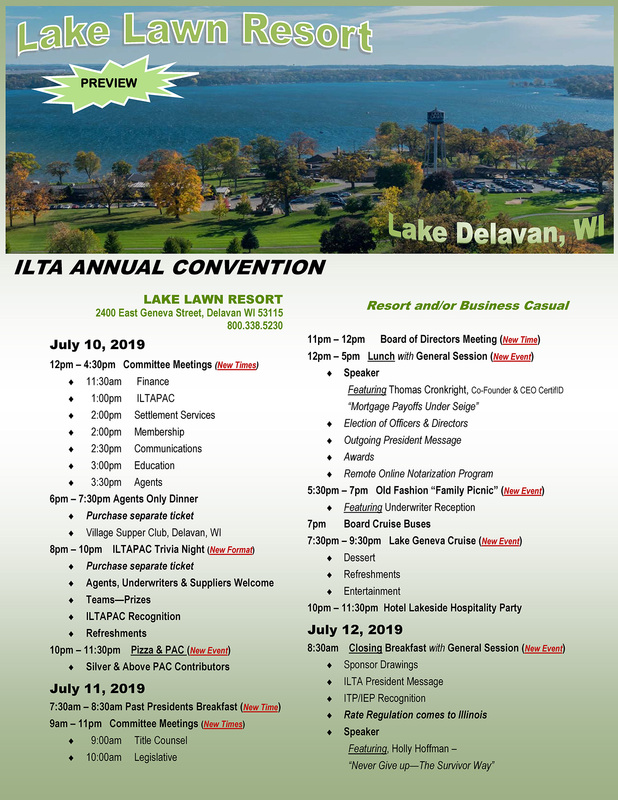 Please contact the ILTA Office if you have questions about ordering the brochures. Owners title insurance ordinarily is issued in the amount of the real estate purchase and lasts as long as the insured–or his/her heirs–have interest in the property concerned. This may even be after the insured has sold the property. The amount of lenders title insurance decreases and eventually disappears as the loan is paid off. Most lenders require mortgage title insurance as security for their investment in real estate, just as they may call for fire insurance and other types of coverage as investor protection. Title insuring begins with a search of public land records for matters affecting the title to real estate concerned. The examination of evidence from a search is intended to fully report all material objections to the title. Frequently, instruments that don`t clearly pass title are found in the chain, or history, of ownership assembled from the records in a search. These need to be corrected before a clear title can be conveyed. here are some examples of instruments that can present concerns. Through the search and the examination, title problems like these are disclosed so they can be cleared up whenever possible. But even the most careful preventive work cannot locate hidden hazards of title. Because of title insurance, home buyers can enjoy complete protection against claim and loss. When title insurance is provided, lenders are willing to make mortgage money available in distant locales where they know little about market conditions. Only title insurance issure through member of the American Land Title Association offers the unique safeguards that are essential for secure investment by both real estate purchasers and lenders. Make sure you are fully protected. Insist on a title insurance policy. For the names and locations of American Land Title Association members near you, write or call the ALTA Washington office. For more information log on to www.homeclosing101.org.